Inside Customer Service blog — Toister Performance Solutions, Inc. Think about the service you get from government agencies. What comes to mind? Perhaps you think about your last trip to the DMV, an interaction with the city planning department, or a municipal utility. Outstanding customer service may not be the first thought that crosses your mind when you think about the public sector, but several million dedicated professionals go to work each day in service of the public. I sat down with Wendi Brick, President and CEO of Customer Service Advantage, Inc. to get her perspective. Brick's company helps public sector organizations deliver world class customer service. She's also the author of The Science of Service: Six Essential Elements for Creating a Culture of Service in the Public Sector. I highly recommend her book for any public sector employee. Q: What are some challenges unique to serving customers in the public sector? "There are two primary differences between customer service in the public and private sectors. "The first is in the public sector, the customer is not always right. A police officer making an arrest for a crime is first concerned with protecting public. If you think of the person being arrested as the customer, they might not walk away 'satisfied' with the process in a traditional sense. Someone working in a city planning office can't approve an eight foot tall wall when the zoning regulations say the maximum height is six, no matter how much that customer wants the wall to be eight. "The second difference is the service provided by government agencies is often regulatory or enforcement oriented. In the big picture, government exists to protect people in some way, whether it's food quality, public safety, or something else. "It's not the Disney Way or Nordstrom, but you're still there to help, even if in the end, the customer doesn’t walk away with exactly what they want. Satisfaction with the outcome isn’t always the goal for the interaction." Q: If public sector agencies aren't always targeting traditional customer satisfaction, what should they be targeting? "The focus should be service delivery. In my book, The Science of Service, I outline three criteria for excellent public sector service delivery. "First is professionalism. This means doing your job and doing it well. You want to treat customers with courtesy and respect. "The second is knowledge. Public sector employees often need to keep track of extensive rules, regulations, laws, and procedures. It's important that you have accurate information to share with your customers. "The third is timeliness. We're all familiar with bureaucratic red tape. Public sector employees must navigate through that too to provide the fastest possible service. "At the end of the day, a customer may not get exactly what they wanted, but they should walk away believing they were respected, they received accurate information, and they didn't waste their time. And maybe they feel they were offered some options that would work, even if they weren’t exactly the same as the original request." Q: Public sector employees don't always have the best reputation for outstanding service. Why do you think that is? "I can tell you that 99 percent of the government employees I meet are really dedicated. They make less money and often put in more hours than their private sector counterparts because they really believe in what they do. "So it's heartbreaking to these employees when one of their colleagues does something wrong, especially when it makes the news or is held up as an example of what's wrong with public sector service. "Keep in mind that a lot of customer service is driven by systems and process. There are so many instances when a public sector employee would like to do more, but they're constrained by an antiquated system or cumbersome process. "Working in the public sector really is a noble mission. It takes a certain type of person to do it. The vast majority of people who work in government do so because they really want to help." Q: It sounds like public sector service can be frustrating for employees too. "It can be. Employees give a lot of themselves, so the biggest risk is burnout. People can get jaded. "I always try to remind people that it's a marathon, not a sprint. It's important for public sector leaders to help their staff prevent burnout. This includes giving people time to recharge and letting employees talk through their frustrations. Q: What are some of the similarities you see between the public and private sector when it comes to customer service? "In any industry, an organization's reputation is built on everyday impressions. Employees need to understand that everyone has a sphere of influence. You might make an impression on a customer or even a coworker. "That makes it important to model the right behavior so you can have a positive impact on others." You'll get the latest posts and receive my workbook: 10 Customer Service Activities to Supercharge Your Team. Once your email address is confirmed, I'll send you a link to download my workbook, 10 Customer Service Activities to Supercharge Your Team. In any industry, there are a few people you absolutely need to know. Erica Marois is one of those people for contact center professionals. She's the Community Strategist for the International Customer Management Institute (ICMI) and a terrific source of information on Twitter. Her role involves connecting people in the contact center community to give them the tools and resources they need to advance their careers. Marois is uniquely plugged in to contact center trends and the people who are driving them. She's also one of the industry's most passionate advocates. She recently took some time to share insights on how contact center professionals can grow in their careers and what leading contact centers are doing to succeed. Q: Tell me about some of the ways you help contact center professionals connect with each other to learn and grow? "Customers like to connect with their favorite brands in many ways, and our members like to connect with ICMI and each other in many ways too. "One of my favorites is the weekly ICMI Chat on Twitter [Tuesday's at 10am Pacific, #icmichat]. The discussion revolves around a new topic each week and participants provide a lot of fun and insightful commentary. It's even led to a sort of mastermind community where people connect outside of the weekly chat to discuss challenges and share ideas. A lot of regular participants have had a chance to meet in person at ICMI conferences and have become good friends, which is fun too. "We've just launched our ICMI book club on Goodreads. A couple of people mentioned they were thinking of starting a book club in their contact centers, so I thought it might be a good idea for ICMI. Our industry has such a thirst for knowledge, and books are a great way for directors, managers, supervisors, and agents to learn new ideas. Each month, we'll feature a new book and have a live discussion with the author at the end of the month. The first book is The Culture Engine by Chris Edmonds. "We also publish original case studies and articles, a weekly newsletter, and host the annual Contact Center Expo and Contact Center Demo conferences." Note: You can save $200 on the upcoming Contact Center Expo conference when you use the code SPKR at checkout. Q: You seem to be everywhere at those conferences! What's your primary goal while you're there? "My top priority is to meet as many people as possible. I enjoy hearing from them and what their struggles are because it helps me do a better job. I’m passionate about helping people overcome those struggles. 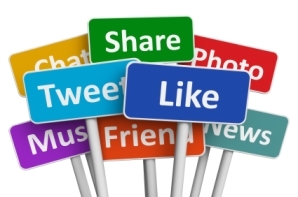 "I also try to maintain our social presence at the conferences. There are a lot of great discussions happening on the conference's Twitter backchannel [note: the backchannel refers to the conference's Twitter hashtag, such as #ccexpo]. I've learned there are even more people who aren't necessarily active participants in those online discussions, but they're still actively listening." Q: What do you see top contact centers doing that others don't necessarily do? "The most successful contact centers treat their employees like adults. They empower them by giving them the tools and resources they need to serve their customers, and they don't chain them down with rigid scripts or cumbersome policies. "If you hire people you trust, you need to trust them. "Employee engagement is a top priority for leading contact centers. They don't get too bogged down in tactics or employee satisfaction. These contact centers understand that engaged employees are self-motivated and invested in the mission of the company. "To do that, employees need to know the mission. In The Culture Engine, this month's book club book, the author talks about having a 'cultural constitution' that spells out the company culture and what behaviors are expected. "It's so easy to get stuck focused on metrics, that contact center leaders often forget to focus on people. The best contact centers have an employee engagement champion who is constantly making sure this is a priority." Q: What do you think are some unique aspects about serving customers in a contact center? "I didn't have any contact center experience before I joined ICMI, but I quickly learned to appreciate what these professionals do every day. It's such a relatable industry because we've all been on the receiving end of a contact center's customer service. "What really stands out for me is the passion. People are hungry to learn, improve, and share their experiences. You've got to have a servant leader's heart to be successful in this industry." Q: Is there something about contact centers you wish other people knew? "People need to realize the great value that contact centers provide. "In many cases the contact center is the company's first and primary point of communication with customers. Agents have a big opportunity to create a positive impression of the company in their customers' minds. The contact center also collects an awful lot of customer data that the marketing department, R&D team, and even the CEO should be paying attention to. "Too many organizations think of the contact center as a cost center where expenses need to be minimized, but the contact center is really one of the most customer-focused aspects of any company." Customer service leaders are constantly trying to improve service. A new report from OneReach asked 63 industry experts to weigh in on what companies can do to get started. It was an honor to be asked to contribute since "Where do I start? is a challenging question for many customer service leaders. I've tackled this topic here before with an action plan for taking customer service to the next level. My take is the first step in any journey is to select a destination. For customer service, this means defining outstanding service by creating a customer service vision. Not all experts agree with me. The OneReach report is valuable because it provides a variety of different perspectives. It's interesting to see that 63 experts had 11 different ideas for where to get started! On a side note, this report is also a great list of customer service experts to follow on Twitter! Below is an infographic that summarizes the results. You can read an overview on the OneReach blog or download the full report. Do you enjoy reading this blog? Sign up below to receive each new post via email. You'll get the latest posts via email plus receive my workbook: 10 Customer Service Activities to Supercharge Your Team. They have a job, so why do they blog? There are a lot of people who actively share their thoughts about customer service via blogs, Twitter, Facebook, and other online platforms. Most of them, including me, are consultants, speakers, or authors. It stands to reason that people like us would actively share our voice online. After all, we’re trying to get the word out. But what motivates people who already have a job working for someone else? To learn the answer, I reached out to four internal employees who are all prolific contributors to the online discussion about customer service. Jenny and Jeremy are part of the customer service team at Phone.com. Jenny is the Customer Service Supervisor and self-described Phone.com mascot while Jeremy is the Director of Customer Service. The two of them embody the spirit of customer service on their fabulous Communicate Better Blog. It features insights into the service they provide their own customers at Phone.com plus examples from other companies and frequent guest posts. They also Tweet from @commbetterblog. Jenny and Jeremy told me they are active online because it helps them learn, it adds purpose to their work, and helps them define their service culture at Phone.com. Jenny: "I do this because I want to help others in the best way I possibly can. I want to learn and grow and be totally awesome at helping others!" Annette serves as Director, Customer Experience Management Strategy at Confirmit. 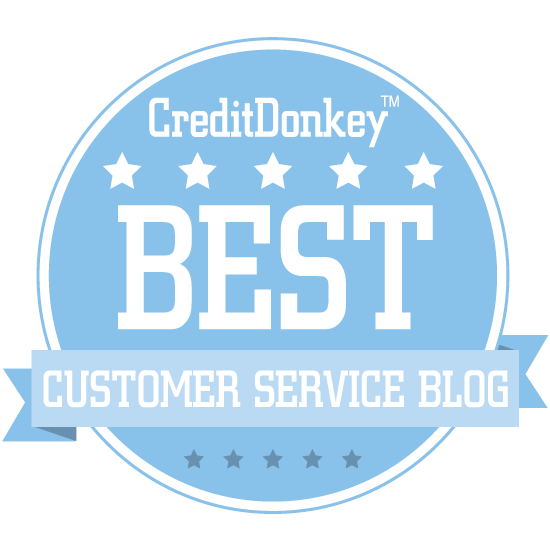 Her entertaining and informative CX Journey blog focuses on customer experience. She’s not afraid to be provocative and I like that I agree with her perspective most of the time, but not always. She often uses personal stories backed by research to make her point and also includes guest bloggers on a regular basis. Annette also Tweets from @cxjourney and @annettefranz. I wasn’t surprised to learn Annette’s top two reasons for sharing her thoughts online since it’s evident in her style, but she has several more great reasons too. I’m passionate about what I do. I’m building my personal brand. Blogging is a way to share my learnings and experiences from the last 20+ years. While there are many of us who do what I do, I think there is power in numbers. The more of us who try to get the message out, the better. It allows me to help others that I might not otherwise meet through my corporate role/position; from students to start-ups to corporate practitioners, I’ve met, answered questions for, and provided guidance one-on-one to people who follow me on social media and are regular readers of my blog. It’s a great way to meet like-minded individuals and to learn from others. Bill is the Resort Manager at Marriott’s Ko Olina Beach Club in Oahu, Hawaii. 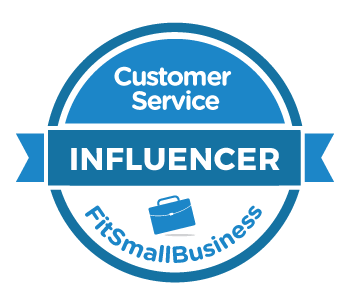 If you wanted to use Twitter as tool for keeping up with the latest customer service trends, you could follow Bill Quiseng (@billquiseng) and do quite well. That’s because Bill is constantly sharing and re-Tweeting great customer service ideas and content. He also does an amazing job populating his Facebook page with interesting topics and discussions too. Bill views sharing customer service lessons with others as a way of paying it forward for the all the great mentoring he’s received in his career. With only slight differences in the product or setting between our resort and our competitors, the key differentiators are in the personalized service our front line associates deliver and the overall guest experience we create through their collective guest interactions. I write to serve as a mentor to those who want to perfect their delivery of the customer experience. As a person reads each blog post, they learn a little more, until over time, they become masters of customer service. And that is how I'd like to "pay it forward" for a lifetime career of having learned from some of the very best in delivering an exceptional customer experience. Writing a blog post like this is often a numbers game. You ask a lot of people you’d like to hear from knowing only a handful will respond. This group is different. These four are the only people I reached out to because I knew they’d reply quickly and thoughtfully. They’re all true customer service professionals whose passion for sharing and helping others is authentic, and I truly appreciate their contributions.